An author imprints his ideas and personality onto the text. These are channeled directly to the final work. Although a copy editor may make minor modifications, the central thrust of his creative vision is entirely his own. A composer, similarly, crafts every detail and nuance of a musical piece. The final score is his, however radically an ensemble may choose to perform it. Collaborative projects, generally, do not interest me as much. I generally find it more interesting when an individual takes over the collective and shapes it according to his artistic vision. The leading despot often tries to manufacture the oddest stage act. One of the most striking examples is that of the avant-jazz titan Sun Ra. Sun Ra claimed he came from Saturn (a gas planet?!). Although this may seem as mere promo talk, he staunchly defended this claim. Once he was put under hypnosis and, lo and behold, he still claimed that he came from Saturn. His group was called the 'Sun Ra Arkestra.' Originally it started as an ensemble which would play swing and old-style big band jazz. 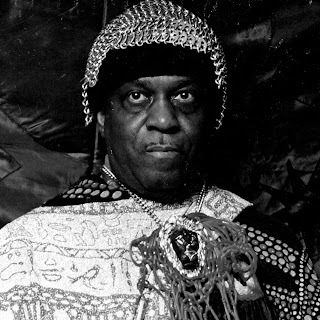 Soon Sun Ra began to implement unusual rhythms, time signatures, noises, chants, Egyptian melodies and astringent solos in what became a fascinating sound world. Of course, there were Beefheart's antics during the rehearsals of Trout Mask Replica which have been documented in an earlier post. 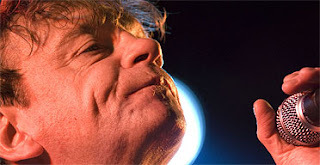 After the coup de etat mounted by The Fall's Mark E. Smith, he has continued to exert his rule for over thirty years. He fires members at will, subjects them to his erratic behaviour and, although most of the band members share song-writing credits, if you don't do as told you are most certainly fired. Although the music itself may be composed or arranged by the ensemble, it is generally steered by the leash of the leader. It is interesting to note that none of the members who have left Captain Beefheart or The Fall have ever produced any material of worth. John French may have masterminded the arrangements of most of Beefheart's music, but his sporadic solo work is generally bland and hardly ever memorable. The numerous members that have left The Fall disappear and never leave a trace. Hardly any group of an ex-Fall member has made a strong impact. But it is an interesting symbiosis. Although the leader is the centre of attention, the project can never survive or work without the backing band. Without his herd of acolytes and slaves, the despot is rendered helpless and impotent. Generally, these projects bear the idiosyncrasy of the maker. It is also an interesting work ethic. Most jazz leaders employ a group of musicians, take them on world tours but they work under the constraints of his regiment. Miles Davis, of course, worked with the greatest luminaries in jazz. All his work bears his own language, in all the eclectic genres and crossovers he worked in. So, the advantages of musical despotism are manifold. Their backing groups do bear the brunt of their tempers, so we must all acknowledge their hard work and input (after all, many of these groups are subjected to strenuous rehearsals). Many of these unique individuals do recognise, however, that sometimes creativity does not always work in the name of democracy.